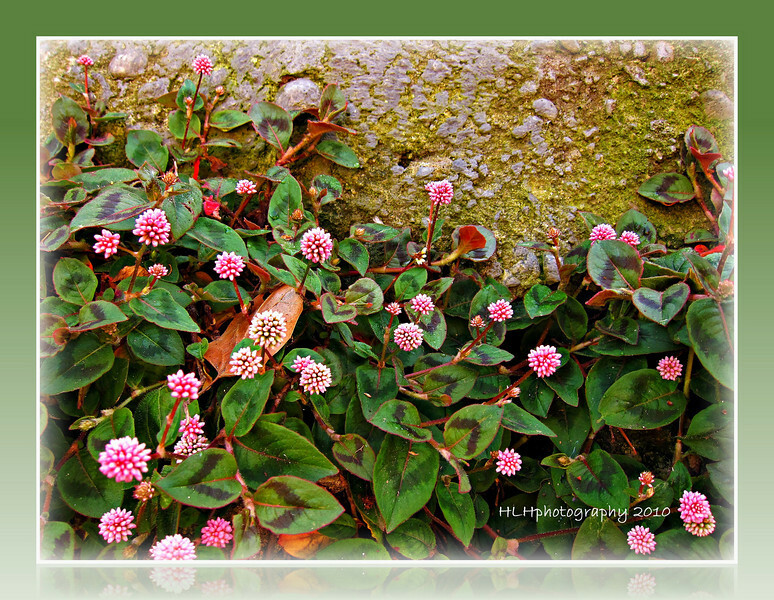 Don't know the name of these little flowers but their pink color, green variegated leaves against the moss covered concrete retaining wall caught my attention. I really like those leaves. Reminds me of Painted Brush but the flower is all wrong for that. Great find and capture.